Unlike home health care which is medical, home care is providing non-medical care services in the comfort of the client’s own home. But it can also be wherever the client calls home – with other family members, for example. Let them know their children may go through the same thing when they get older and that you’ve seen it, repeatedly, with family after family. Once they see how home care works and how it can not only benefit the individual needing the care, but their family, too, hopefully, the stress will disappear. What’s the best thing about running your own home care business? And the worst? I’m going to give you what I think are the worst bits, first. We’ve all seen the horror videos of caregivers abusing patients, but that’s just a tiny part of the care sector. There’s always a thorn in a rose bush, but the nice smell of them and how pretty they look, makes you want to get close and touch them. Home care should be the same. You should weed out the bad caregivers and cut the thorns off to smell the roses. In other words, enjoy your caregiver and they’ll enjoy you. This can help you look at home care differently. But, if you need more information, look for a home care agency or consultant to help you figure out the home care process. Do not do it alone. Involve other family members and friends, if possible. What’s most important, though, is that you get a home care professional to come and help you. It’s only when family members, or first-time home care business owners, try to do it alone that stress sets in. Remember, home care is there to take the stress out of caring for your clients and benefit the whole family at the same time. Starting up and running a homecare business – or any business – will take a lot of your time away from family and friends. You’ll miss lots of events, family gatherings and much more. So, how bad do you want it? There’ll be late nights, early mornings. As the business owner you’re constantly on call, and you’ll wear a thousand hats when you first start out. You’ll feel like the lone ranger for a while until you get the right team together. The best thing about running your own home care business? Most people will think it’s being their own boss. And that can be true. But for me, the best part is being a helping hand to families in need of home care. It’s being the solution to their problem. Of course, there are other benefits to running your own business, like making your own hours. If you do a good job of caring for the elderly and disabled, you can also make a great living for you and your family from it. And best of all, leave a legacy for them. Once you’ve hired some great caregivers, you’re on your way. Remember, the caregivers represent you. If you care for them, they’ll help your business grow. Caregiving is a gift. Not everyone is cut out to care for others and their performance on the job will reveal this. Getting the best caregivers (staff) can make your home care journey a success and more enjoyable. But things do happen and how you handle these things is key to your business growing. Let your good outweigh your bad in business. Remember, starting your own business requires working when you don’t want to, working late nights and early starts. If you’re starting your own business, you must know your ‘why’. Because if your ‘why’ is not greater than your fears, you won’t make it. Now, are you ready to start a great career? Have you ever thought of owning your own home care or private duty business? Are you a leader? Could you be a great leader, to yourself, and to others? Are you a self-starter or go-getter? Do you like working with the elderly or disabled population? Do you have great patience for people and their problems? Are you flexible with scheduling and hours? When you start something, do you finish it? If you’ve answered ‘yes’ to most of these questions, then you’re on your way to being a great business owner. If you’ve answered ‘no’ to some of them, ask yourself if you think it’ll hinder you from starting up a business. Can you make it your goal to work on some of these things? Can you turn a ‘no’ into ‘yes’? Write a business plan. You can get help with that here. Sort out your firm’s legal structure – sole proprietor, general proprietor, LLC or corporation? Learn your craft. Work on it daily to be successful at it. As a home care provider, it’s not all about starting a business and making money. It’s about being the solution to people who need care at home. It takes a special kind of person to run and care for people. Be kind, but firm when handling the sort of situations that may arise in your business. And remember – people hire the person, not the business. It’s the person they see coming to recruit them as a client they’re watching and looking to help them during this stressful time of their life. 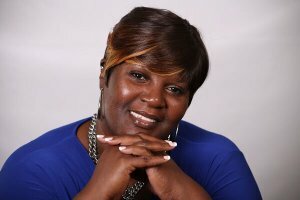 A professional caregiver for over 20 years, Cheryl founded her home care business in 2014. Eternity Sitters and More LLC provides care for individuals in their own homes, in nursing and retirement facilities, and in hospitals. As well as volunteering countless hours of her time for community service, Cheryl’s a motivational speaker and founder of the Home Care Business Learning Station, a Facebook support group which supports, inspires other homecare providers. Having already co-authored ‘I AM Woman’ and written a series of e-books, she’s now about to publish ‘The Home Care Bundle Book’, a manual for health care providers. Eternity Sitters and More recently won ‘Small Business of the month’ by Joe Lockett Talk Radio.